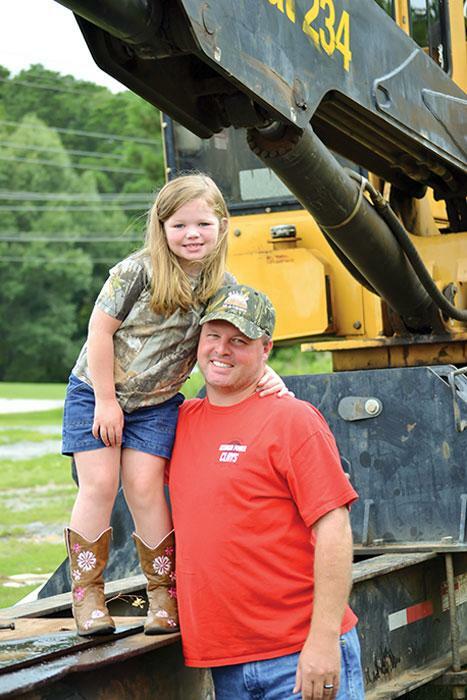 Southern Loggin’ Times magazine’s September 2014 issue features Sharon, Georgia’s Southern H Logging, LLC, Waynesboro, Mississippi’s Bazor Pulpwood, and Six Mile, South Carolina’s Pilgrim’s Logging. 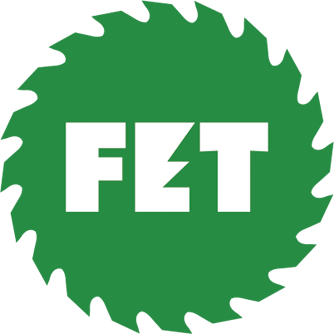 Also highlighted is the upcoming Mid-South Forestry Equipment Show, to be held September 19-20 in Starkville, Mississippi. 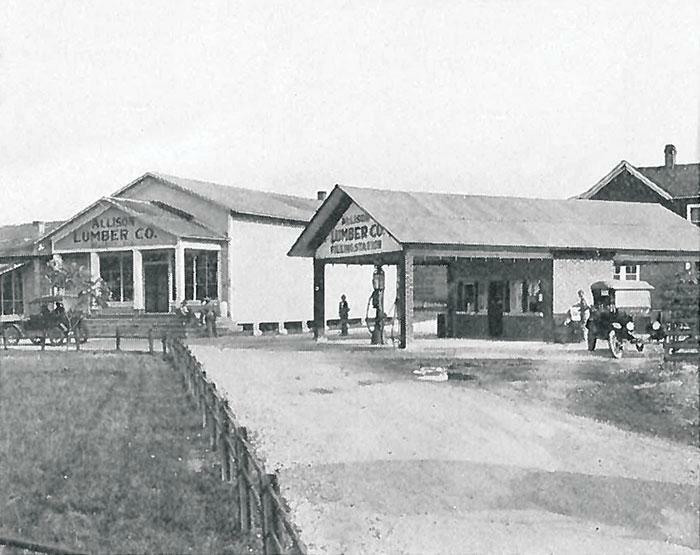 Other articles discuss old mill towns, business management, and logging safety. Southern Loggin’ Times magazine Managing Editor David Abbott has the opportunity to visit Southern H Logging, LLC in Sharon, Georgia. It’s been a big year full of changes for J.W. Henderson III, 36, the owner of Southern H Logging, LLC. It started in June 2013 when he was awarded full custody of his six-year-old daughter, Chloe. Prior to that he had been mowing power line corridors all over the state for Georgia Power under his company, J.W. 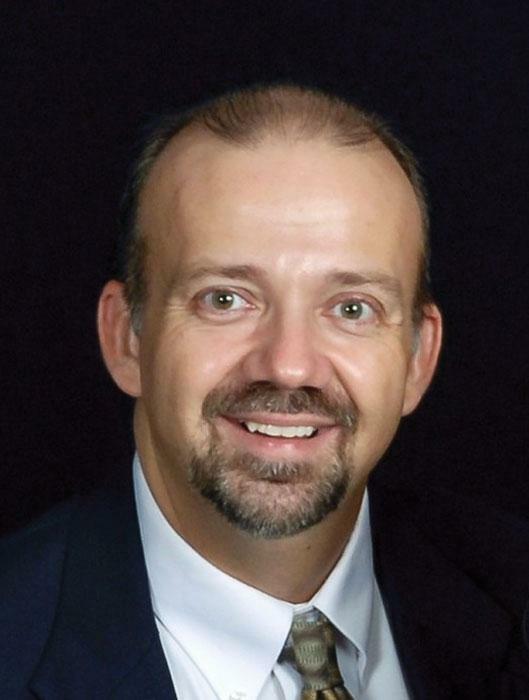 Henderson, Inc., which he started in 2002. That work often kept him on the road Monday through Friday—a schedule that wouldn’t fit with a young child at home alone. Henderson—the J.W. stands for John Walton, incidentally—knew he had to do something different. Fortunately, an opportunity presented itself in the form of his close friend Trey Kennedy, forester with Gillis Ag and Timber, based in Soperton, Ga.
Southern Loggin’ Times magazine Associate Editor Jay Donnell travels to Waynesboro, Mississippi to spend some time with Bazor Pulpwood. Freddy Bazor began his logging career in 1969, after his father, Fred Bazor Sr., was killed in a logging accident. Freddy had completed a forestry degree from Mississippi State University and had just joined his father’s operation when the tragedy occurred. The elder Bazor was a producer for International Paper in Bukatunna. After the death of his father, Freddy decided to make a name for himself in logging. He felt he had the right mix of education and background to succeed. He purchased a Ford tractor and Case tracked loader and went to work. Relying on the contacts he made with his father’s operation, he found that work was plentiful with IP. Later he began working with Leaf River in New Augusta¬¬¬—now Georgia-Pacific. 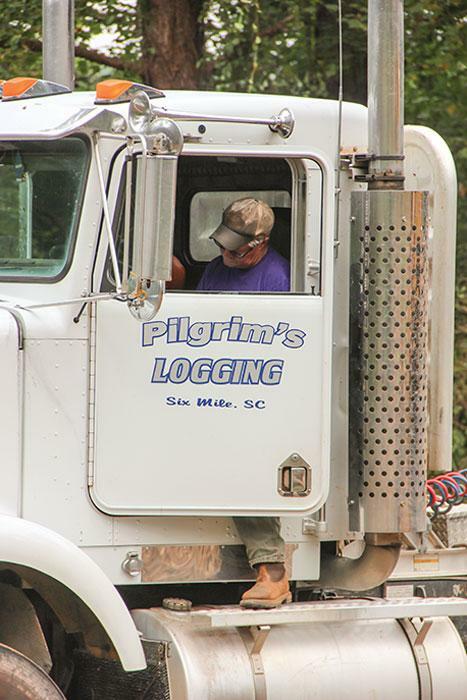 Southern Loggin’ Times magazine Associate Editor Jessica Johnson visits Pilgrim’s Logging located in Six Mile, South Carolina. 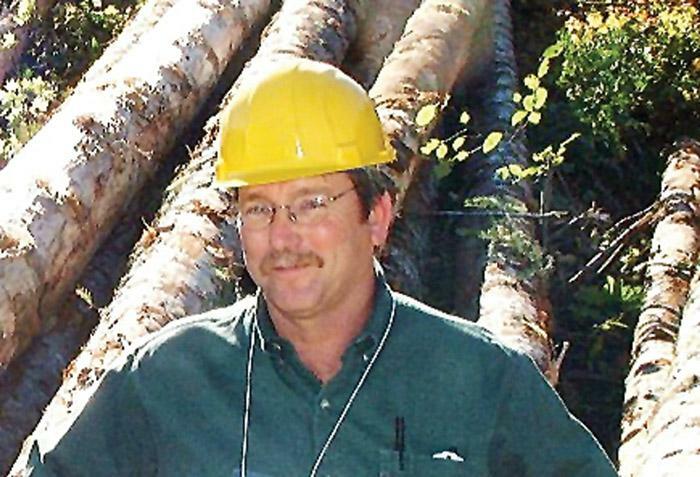 Leroy Pilgrim, 60, isn't the biggest logger in South Carolina. He's not the baddest with all brand new equipment either. But he's not only fine with that, he's happy with it. He's happy because his crew produces, his bills are paid and he spends time with his family. Pilgrim says, “We tried to get bigger. We were running two skidders, two loaders and got sixty loads a week. But we had some problems with keeping good help and with trucking.” He made the decision to drop back down to his current crew size—three men and three pieces of equipment, pushing about 30 loads a week. Now, the extra equipment from the expansion is kept at the shop as spare. For Pilgrim, he believes his set up is more profitable than trying to hire another man and move more wood. 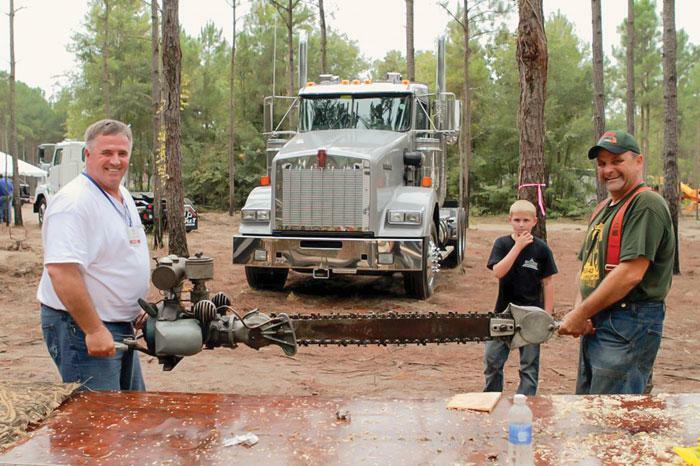 Southern Loggin’ Times magazine Executive Editor DK Knight previews the upcoming Mid-South Forestry Equipment Show. 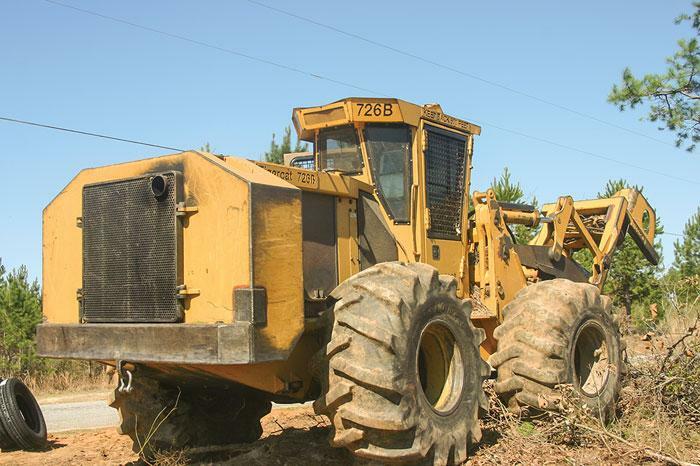 If you’re looking to enhance machine uptime and trim operating costs; thinking of buying portable or on-board scales; considering a new truck or trailer purchase; comparing off-road tire brands and/or tread designs; evaluating chippers and grinders; weighing rebuilt versus new skidder or component options; comparing attachments; or shopping for different types of services, you’d do well to attend the Mid-South Forestry Equipment Show, in gear September 19-20 just south of Starkville. You can explore all these interests and others from scores of exhibitors demonstrating or displaying their products or promoting their services. The big three—Caterpillar, John Deere and Tigercat—and their local dealers will show their latest innovative models, some of which will feature new engines and various performance enhancing technologies that save time and money and provide for peace of mind. Southern Loggin’ Times magazine Executive Editor DK Knight provides and in-depth history of historical mill towns. Beginning around 1875, railroads began having a significant impact on the logging and lumber trade. Lumbermen were no longer dependent on watercourses for sawmill sites and log transport means. Expanding rapidly, railroads and rail-related equipment enabled lumbermen to get closer to their forest resources and spider-like tramlines increased output in logging camps. Moreover, railroads helped make remote mill towns less isolated and got sawn products to market faster and more effectively. Railroads also helped spawn an unprecedented east-to-west industrial building boom that brought mills and plants to areas largely undeveloped in the U.S. In regions characterized by vast forests, these mills—many very large—produced lumber, shingles, lath, staves, barrel heading, boxes, shook, veneer, timbers and crossties, and generated untold tons of waste. At The Margins is designed to help loggers manage and/or operate their business better. Each month an expert provides information, tips or advice on how to maximize profitability, enhance efficiency or increase business knowledge. This month’s column is provided by Chris Rowan, the Product Support Training Manager at Thompson Machinery, a Cat dealer. 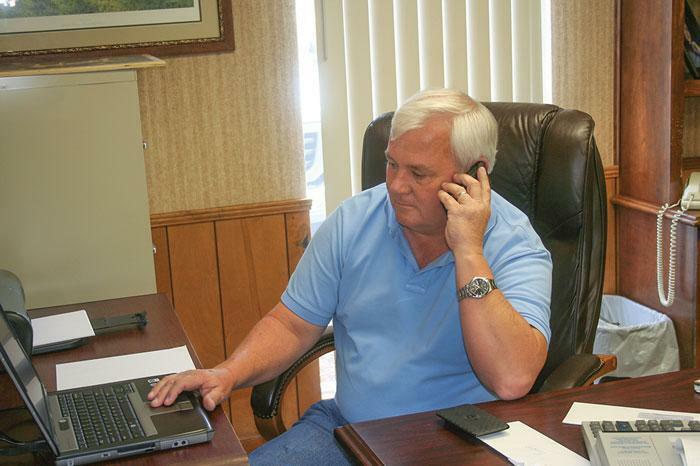 The article is titled, “Telematics: Your Link To Equipment Cost Savings.” Click here to view the full article.